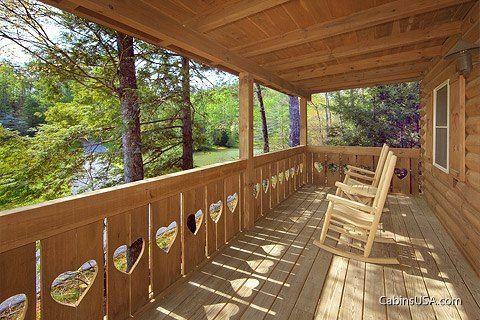 "Heart To Heart," a private romantic honeymoon cabin in the Smoky Mountains of East Tennessee, rests in a secluded forest setting with beautiful views overlooking a neighboring fishpond. 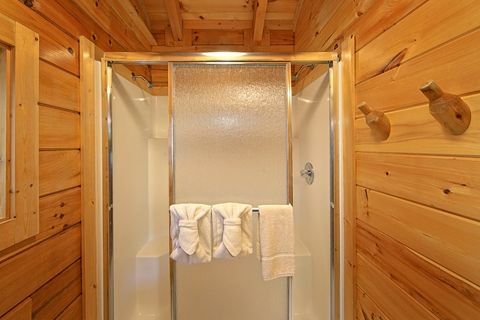 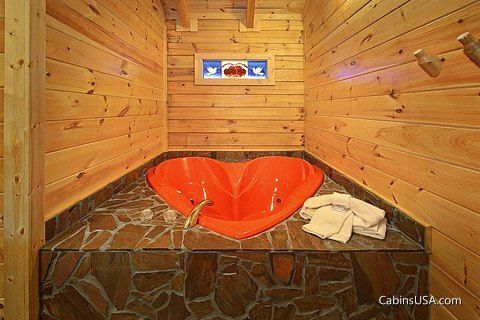 This cabin also includes comforts and amenities for a romantic cabin stay, including a heart-shaped jacuzzi tub. 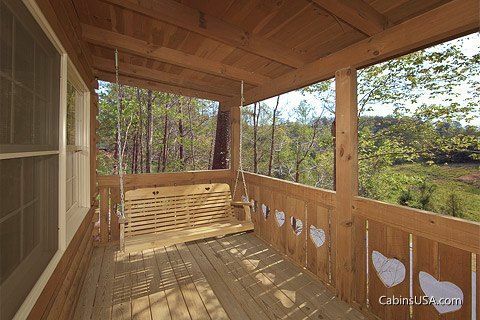 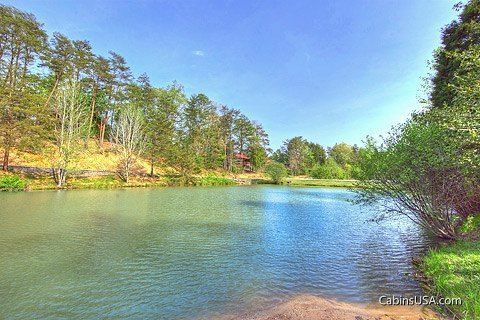 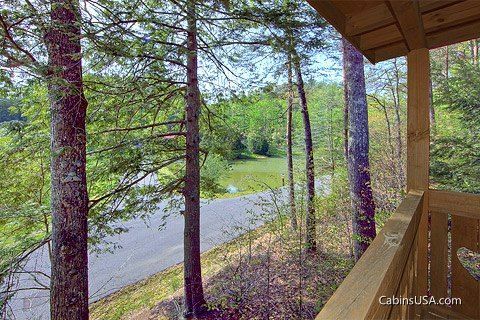 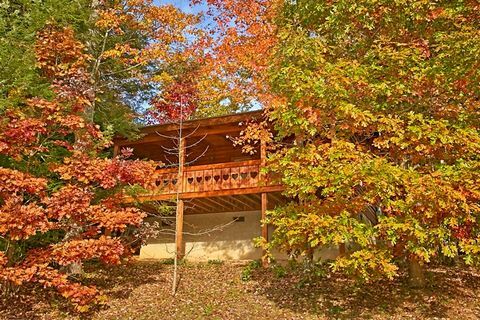 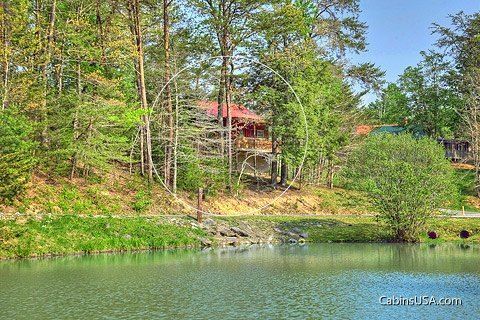 Relax outdoors on this honeymoon cabin rental in the Smoky Mountains' shaded back porch with rockers and a porch swing overlooking the large neighboring fishpond. 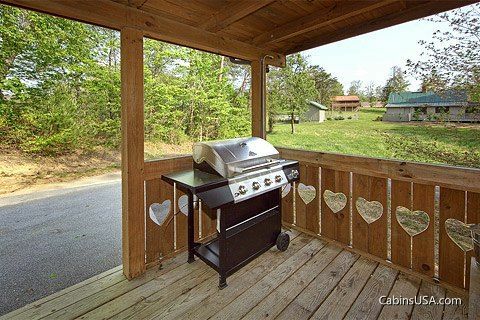 The front porch offers a grill for cookouts, and couples will love the enclosed porch that houses the hot tub. 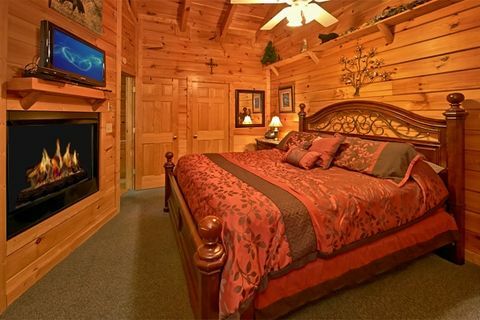 Indoors, your cabin's master suite offers a king size bed with in-room, heart-shaped jacuzzi for two facing a double-sided fireplace (seasonal) that passes its warm glow throughout the bedroom and living room areas. 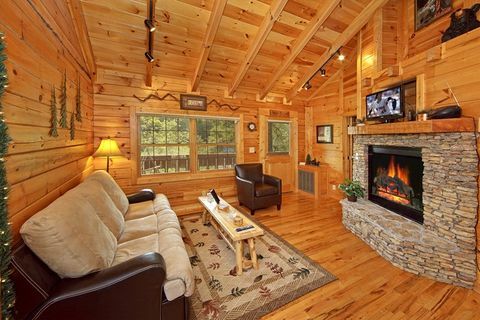 The living room has a sleeper sofa, allowing this cabin to accommodate 4 guests. 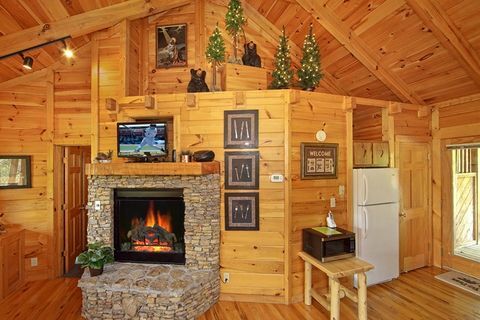 There's also a television and DVD player for movie nights in the cabin. 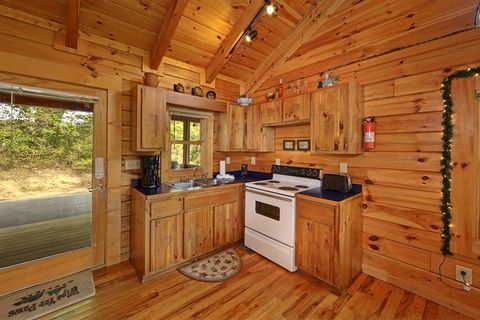 The cabin's corner kitchen gives guests the opportunity to cook dinners for two to serve at the nearby dining table. 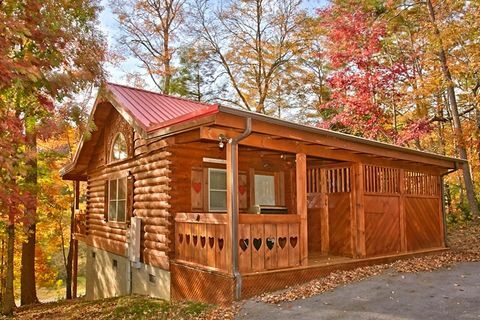 Your honeymoon cabin in the Smoky Mountains also places you just minutes from Downtown Pigeon Forge and seemingly endless things to see and do while honeymooning in the Smokies. 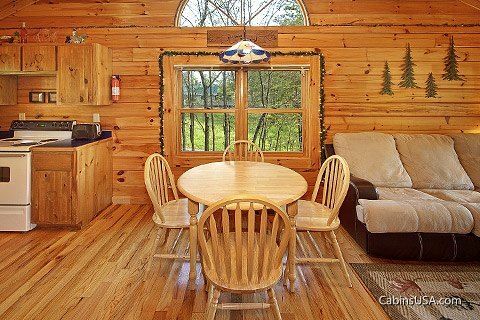 There are plenty of other amenities in your cabin to entice you to stay inside including WiFi Internet, 2 flat screen televisions, and a standup video arcade with Pacman, Ms. Pacman, and Galaga. 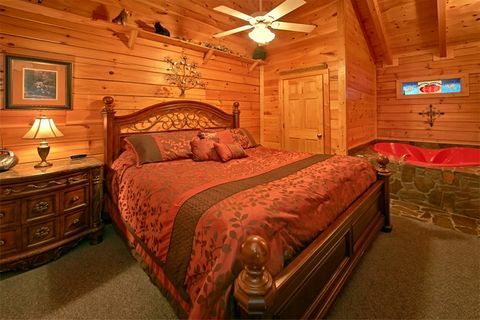 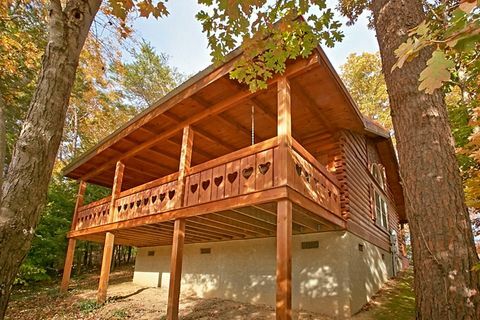 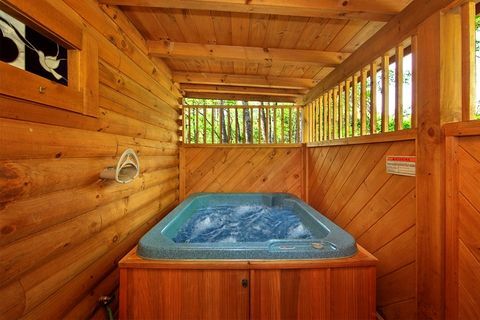 Enjoy this fantastic honeymoon cabin in the Smoky Mountains with a heart-shaped jacuzzi with that someone special. 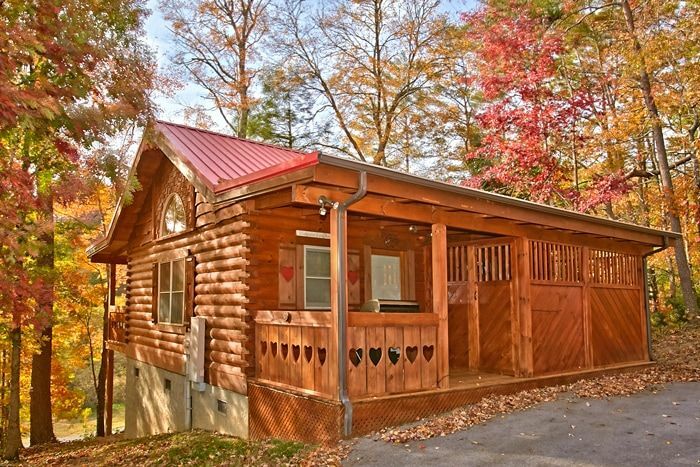 Book Heart to Heart or another Smoky Mountain honeymoon cabin rental online for an immediate Online Cabin Special and SAVE!